If you're excited about Pope Francis' first visit to the United States next week, you're not the only one. 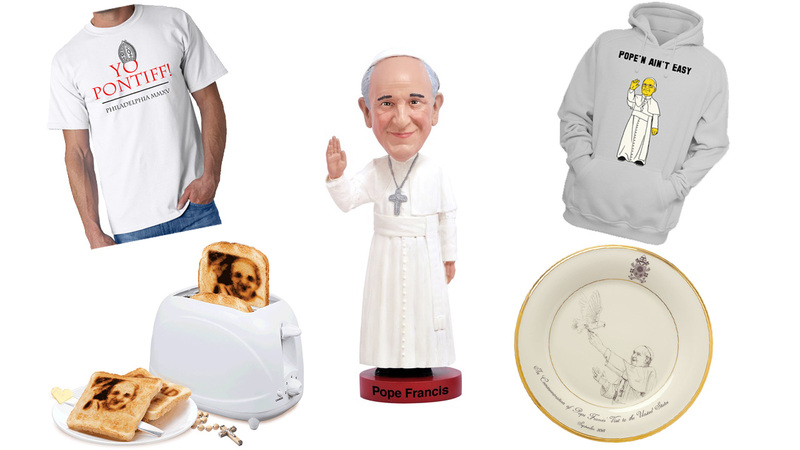 From bobbleheads and sweatshirts, to handmade dolls and toast, there's a pope-themed product for every occasion. 1. 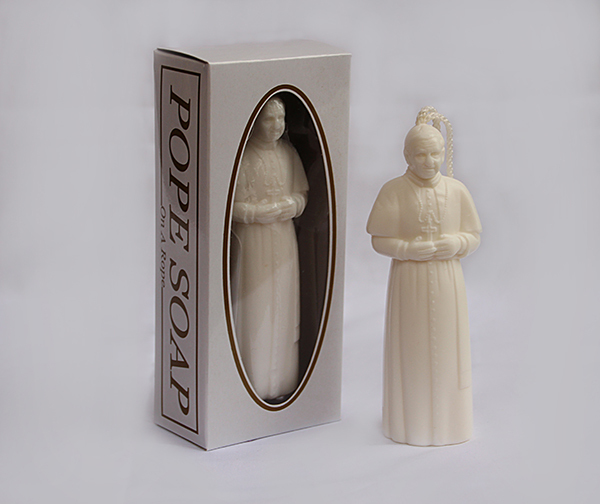 Wash away your sins with this pope soap on a rope. 2. 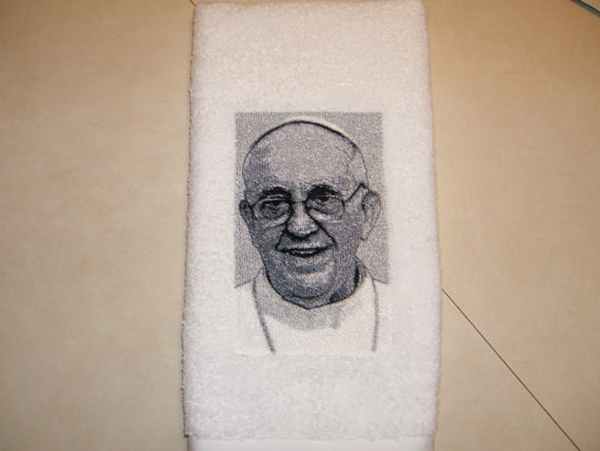 And then dry off with a towel embroidered with Pope Francis' face. 3. Going to church while the pope is in town? 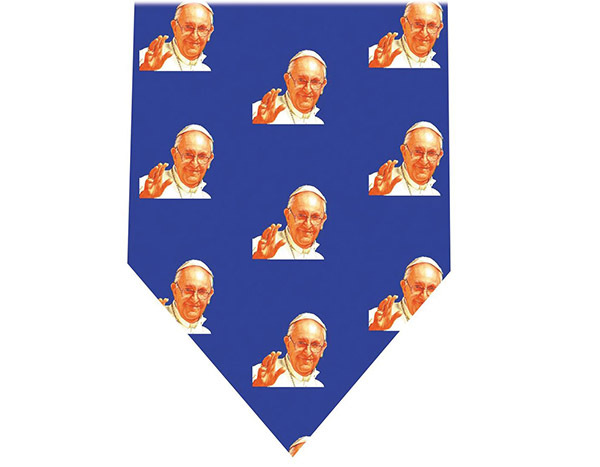 Consider this Pope Francis skinny tie. 4. Need something more casual? 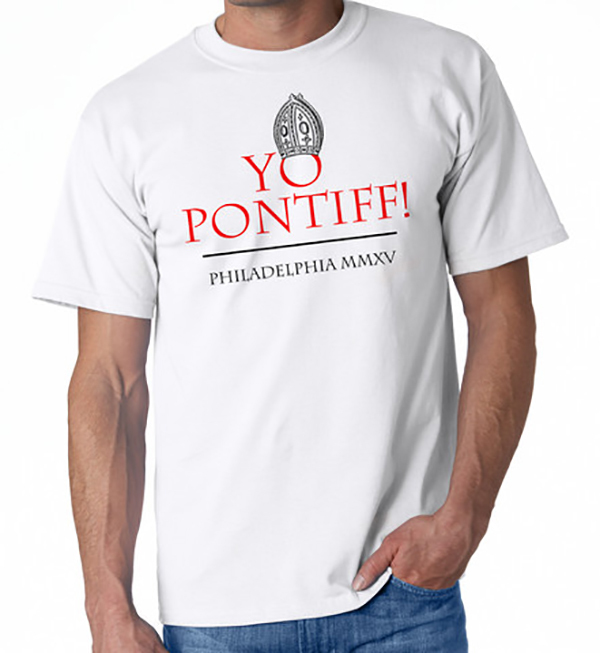 A "Yo Pontiff!" T-shirt is sure to get people's attention. 5. 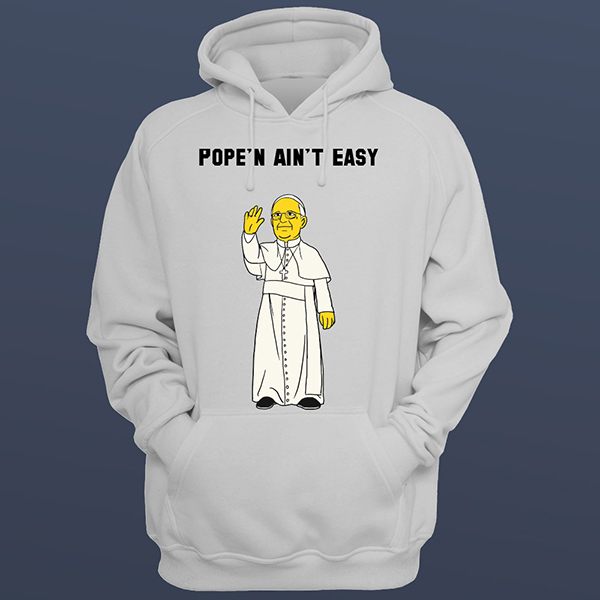 But if it gets cold, pull on a "Pope'n Ain't Easy" sweatshirt. 6. 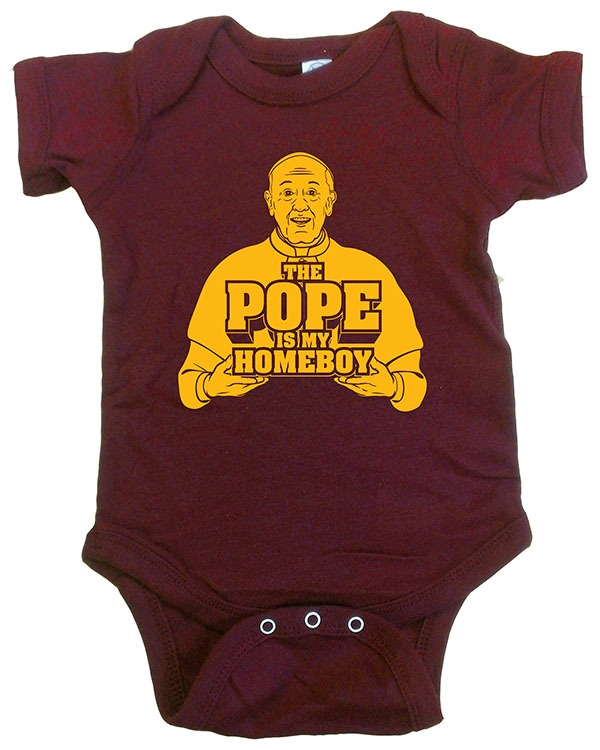 And if you have a little one, be sure to check out this "The Pope is my Homeboy" onesie. 7. Planning a pope party? 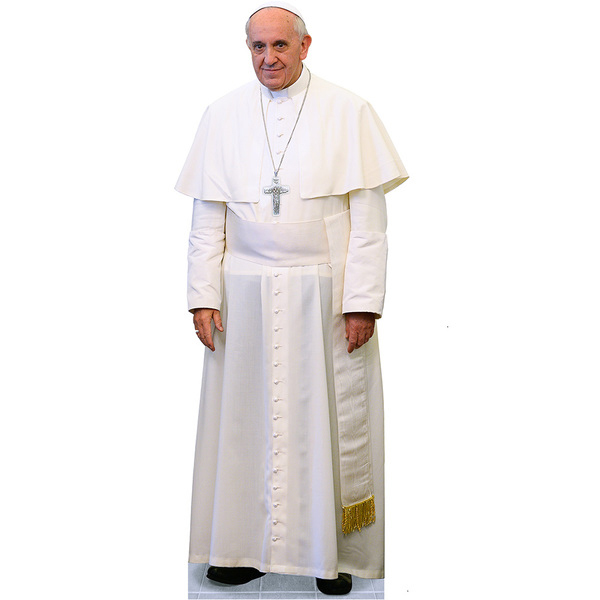 This 10" Pope Francis cutout is the perfect table topper. 8. Wondering what to make for breakfast? 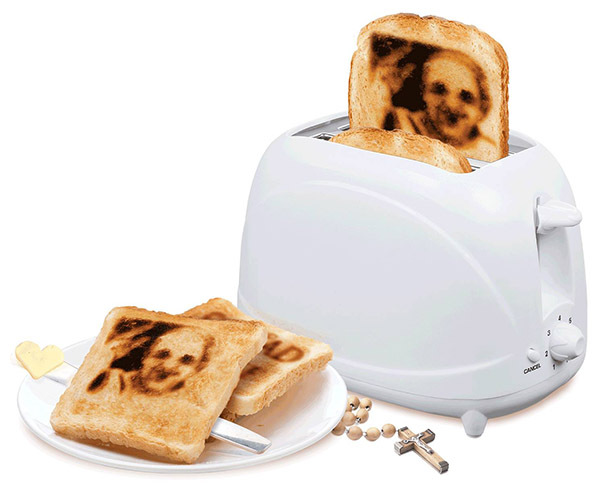 How about Pope Toast? 9. 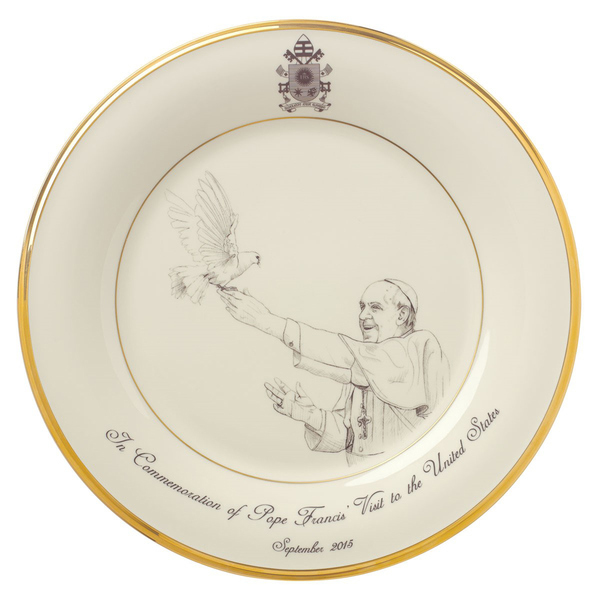 If you're feeling fancy, serve it on this Pope Francis commemorative plate with 24-karat gold gild. 10. 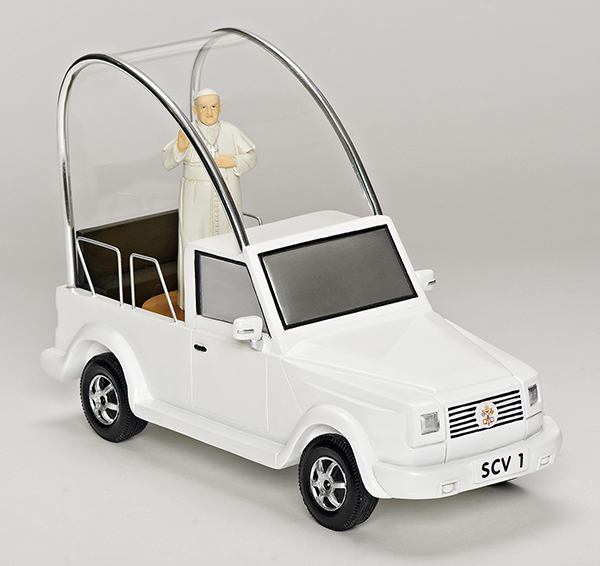 Entertain your guests with this musical pope mobile. 11. 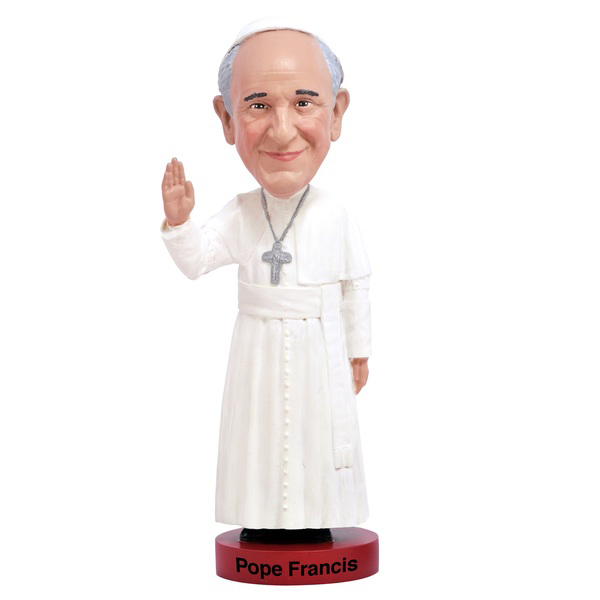 This Pope Francis bobblehead doll is the perfect dashboard companion. 12. 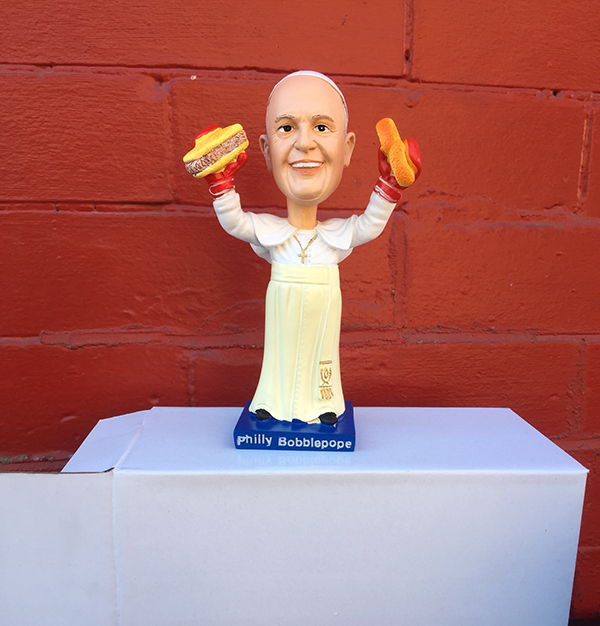 Although, if you're from Philadelphia, you might prefer the cheesesteak-snacking Philly Bobblepope. 13. 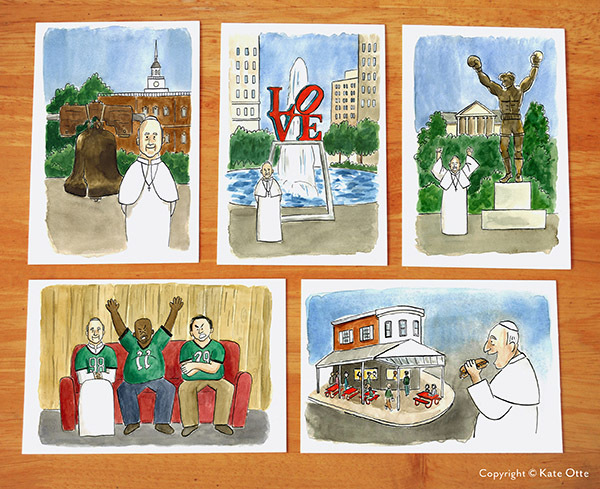 Fill in your friend on all your pope adventures with these "Pope Francis in Philadelphia" watercolor postcards. 14. 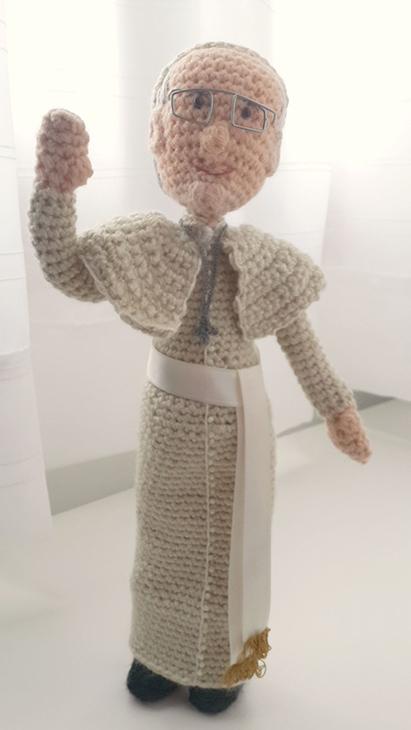 Or send them a hand-crocheted Pope Francis Amigurumi doll that will appeal to any craft fan. 15. 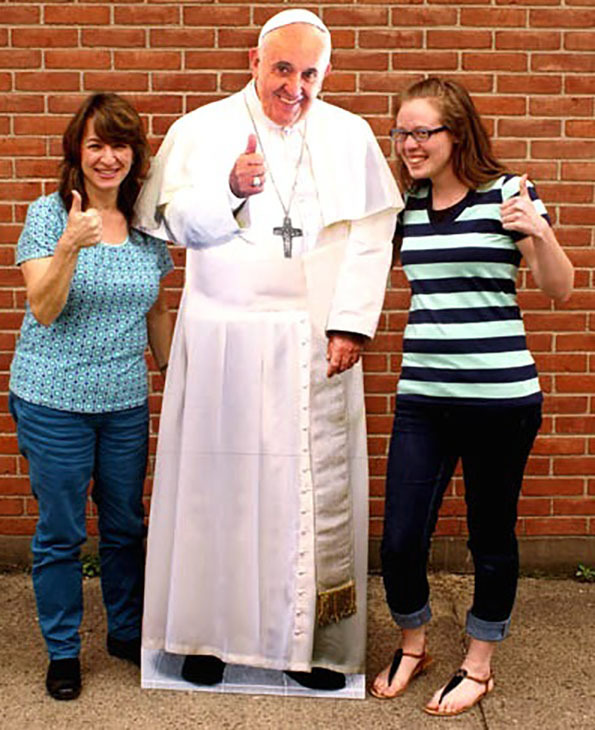 But for anyone who really wants to feel like they got a personal audience with the pope while he was here in the U.S., this life-size Pope Francis cutout is a must. Looking for more ways to express your excitement for the pope's visit? Check out these pope emojis!